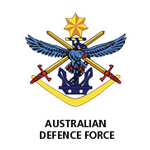 MPE are proud to announce being selected by the Australian Defence Force to be included on a standing offer panel for WHS services.s. The implementation of the harmonised WHS legislation in January 2012 has changed the safety landscape for Defence and all organisations within Australia. The new legislation places greater emphasis on processes of consultation, communication and upstream safety. These aspects of ADF safety systems must be the focus of short-term improvement strategies, to ensure that the right people have the right information in the right manner at the right time to achieve the result safely. MPE have been appointed to assist Defence to achieve their vision of no person suffering a serious preventable work related injury or illness. This is to be achieved by measurable improvement in work health and safety performance through the implementation of the Defence Work Health and Safety Strategy 2012-2017.